Three species of seals breed in Australia. They breed in southern Australia where the water is colder. Most seals breeding in Australia do so on rocky islands. 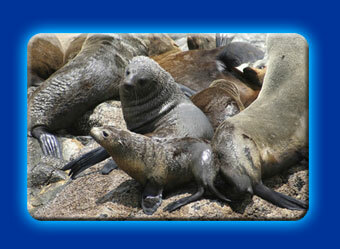 The Australian Fur Seal is the same species, but different subspecies, than the Cape Fur Seal that breeds in Africa. The New Zealand Fur Seal breeds in both Australia and New Zealand. The Australian Sea Lion only breeds in Australia. Many other species of seals breed closer to Antarctica. During winter, some of these seals visit the Australian coast.